Curtains Blinds Wallpaper Singapore: Do curtains really help in blocking out noise? Do curtains really help in blocking out noise? For any material to block sound, it must be sound resistant. Moreover, because no curtain is made of sound resistant material, then most curtains cannot help in blocking out noise from the house. As much as you might find few sound resistant curtains, the truth is that the level of resistance is so low. In fact, most curtains that have sound resistant qualities can only resistant sound and noise to a mere 40% or less. This means that even if the curtain could resist some sound and block out noise, a big percentage of the noises will end up into the house. The simple fabric material used in manufacturing most curtains does not have the capacity to block sound or noise of any intensity. The material is so thin and light, a factor which allows sound to pass through it more quickly and easily. Curtains do not have the ability to absorb and retain sound and for this reason sound finds a very easy passage through the curtains. The above reasons give a clear proof that no curtain can help in blocking out noise from your house. However, there are several ways which you can use to make your curtains be able to block some noise though on a very small scale. One way of using curtains to block out noise from your house is by using a double layer of curtains on your walls, doors and windows. Place the first set and then place the second set on top of the first set, there will be a space left in between the two sets an the space can be able to absorb and handle a certain percentage of sound and noise coming from outside the house. 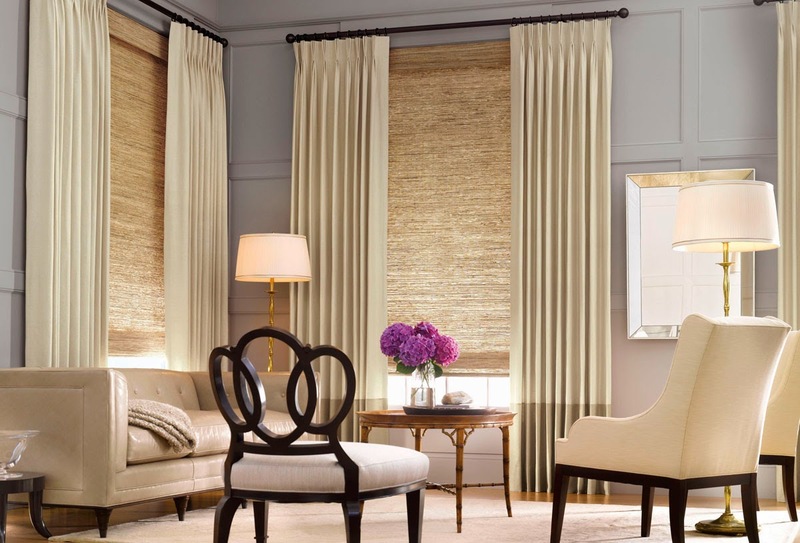 When using double layer curtains it is important to use curtains with thick fabric because this will enhance the noise absorption and resistance. The curtain holding rods need to be strong enough to handle a double layer of curtains. As much as blacking helps in controlling the mount of light entering the house, it can also help in controlling the amount of noise and sound entering the house. A special type of material is normally used in making such curtains which makes them able to absorb excess light and sound coming from outside, however you have to note that they do not block noise completely but rather a very limited percentage. These are curtains which are designed to reduce noise. They absorb and retain sound and noise that come from outside the house through windows, doors and walls. Such curtains must be large than the windows and doors in that when they are inserted they must overlap the windows or doors this makes them more effective when it comes to sound absorption. The amount of noise or sounds being produced in the neighborhood will determine the amount of noise that can be blocked out of your house by the curtains. When the intensity of the sounds is so high, then the amount of sound that can be blocked out will be so limited. Among the permanent super ways of blocking out noise and sound is by having soundproof windows, doors and roofs on your house and by having acoustic material fixed on your walls. This will provide you with a more permanent solution to the excess sound menace.